Join Greg for MKFM Drivetime every weekday afternoon from 4pm to 7pm with the best music and the latest travel news. 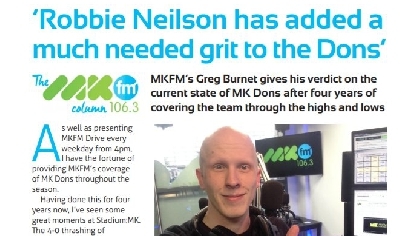 As well as presenting on the radio, Greg is also the MK Dons Correspondent for MKFM and reports on all their home and away games. 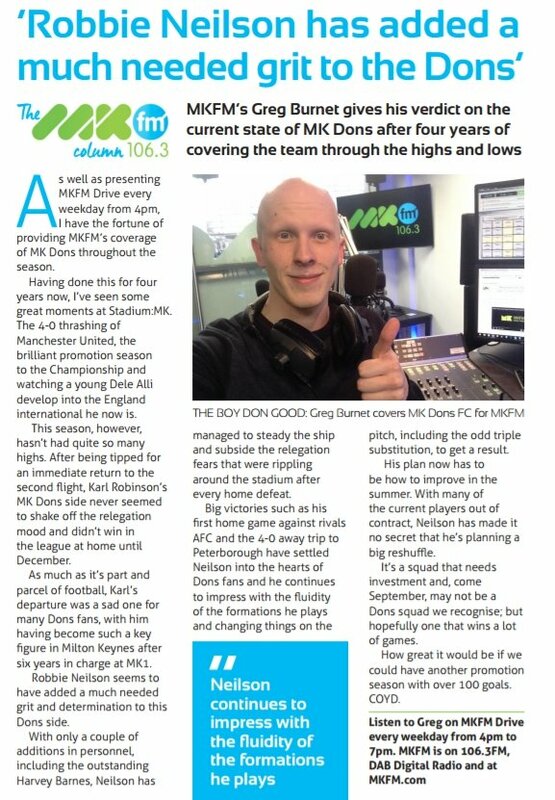 Recently, he has written a column about the football club for April's edition of local magazine Celebrate:MK. You can read it below.